To a fisherman, any time is a good time to go fishing. Water beckons a fisherman despite the weather conditions or time of day and a true fisherman will jump at any opportunity to drop a line and wet a hook. 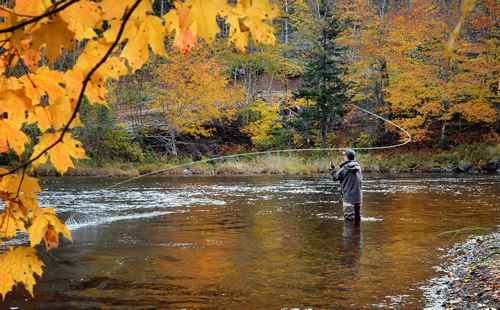 However, fall is much anticipated by trout fisherman as one of the best, if not the best, time of year to fish. Since most insects have hatched for the season, die-hard fly-fisherman may argue that trout fishing in the fall is much like yesterday’s news – mostly over. However, most anglers will agree that the slower feeding patterns of trout in the fall are a small price to pay for the solitude on the water. Streams are mostly vacant and you won’t have to look over your shoulder for intruders every few minutes as you did in the spring and early summer. 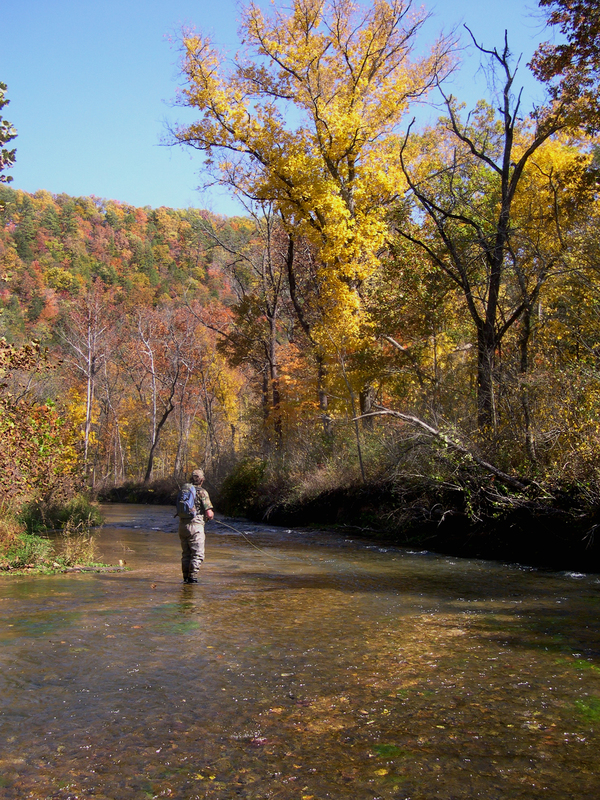 The peacefulness of fall trout fishing allows a fisherman to commune with every aspect of Nature in her most glorious of times. Fall to winter is spawning season and begins after the fall foliage changes colors and ends when the last leaf hits the ground. 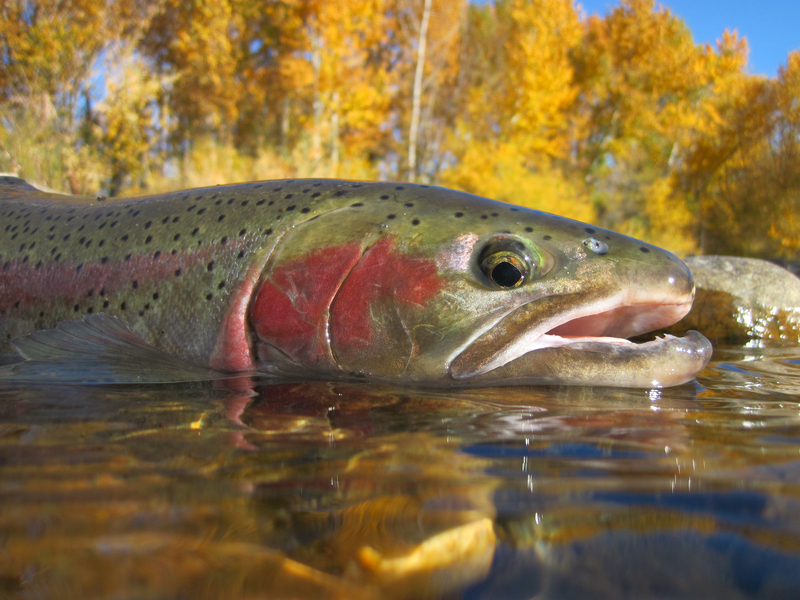 For several weeks prior to the spawn and again after eggs have been fertilized, the once love-struck trout who only had one thing on their minds, begin to pay attention to their tummies and bow to the demands of their appetites. October and November is the optimum window for this dining extravaganza. Watch for heavy rains and rising streams which will trigger migrations from lake to streams and rivers to feeder creeks. Once temps stay below 50 degrees during the day, the best time to fish is from noon to late afternoon. Look for mouths of tributaries, deep pools and gravel-bottomed riffles and tail-outs as well as holes at the bases of impassable waterfalls. 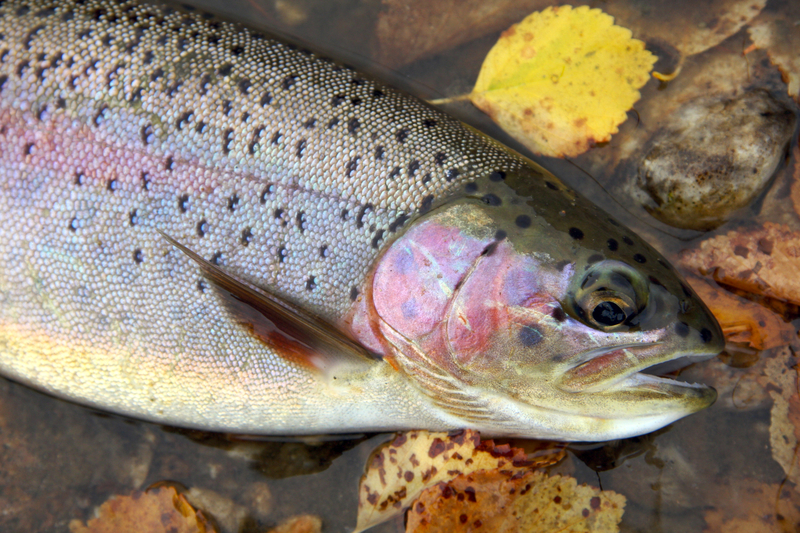 These places offer trout a sense of security from predators. Some trout spawning grounds are off-limits for any lures that have more than a single barbless hook point. Make sure to check for regulations in the area. During the winter months, the trout’s metabolism will slow down significantly and they’ll become much less active. Don’t miss your window between September and November to catch the Big One. Fish on! Have a fish story to share? 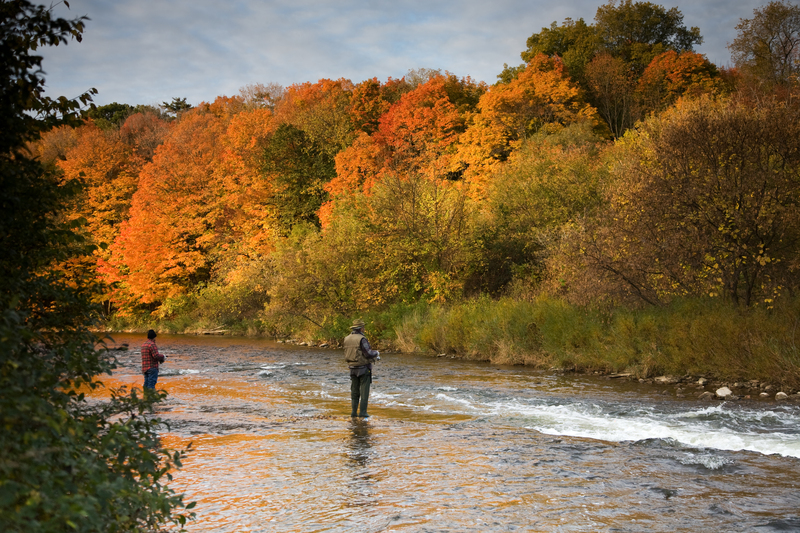 Tell us about your favorite place(s) to fish in the fall and what bait you like to use.